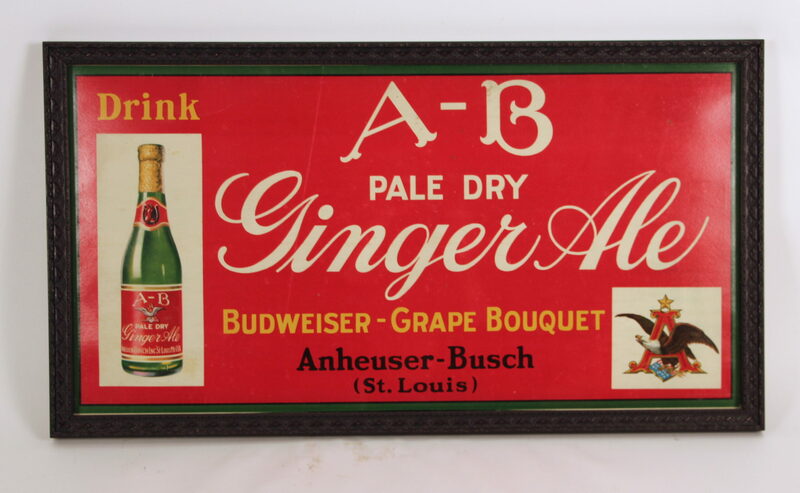 A fantastic example of the Anheuser-Busch companies attempt to stay in business during Prohibition when they manufactured this Ginger Ale Soda with this beautiful cardboard sign. The sign incorporates the well known AB Eagle logo and it also illustrates the green paper label Ginger Ale brand of bottled soda. Interestingly, the sign also mentions the Budweiser brand and the Grape Bouquet brand. 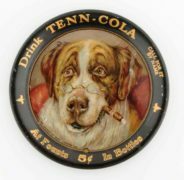 This was done to help bolster the image of the new Ginger Ale brand of soda without a doubt. 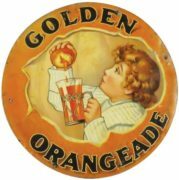 Anheuser Busch was intuitive and came out with the Ginger Ale, Grape Bouquet and the Malt Nutrine brands before prohibition went into effect. 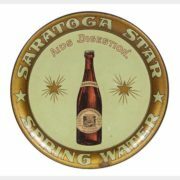 This allowed the company to keep their machinery and plant running smoothly during the 14 years of prohibition. 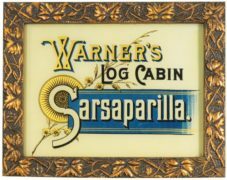 This also helped the company have a jump start on many other breweries and it helped them quickly take a top spot in the brewing industry in the United States.